How do I setup Onyx on iOS? 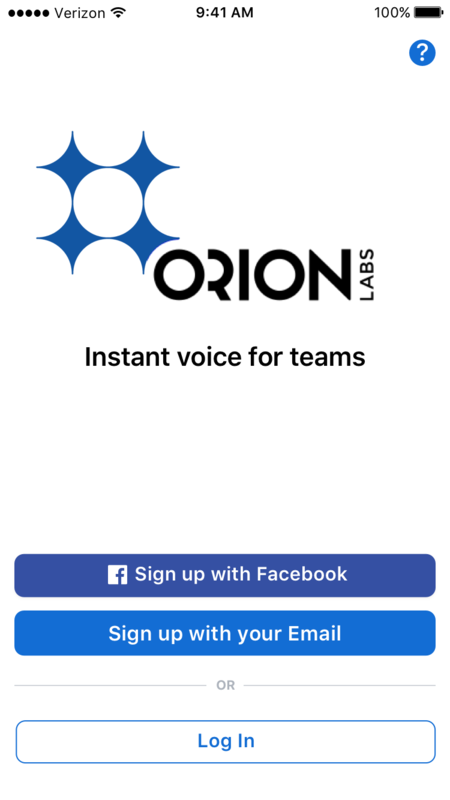 Every team member should install the Orion app. You can click the button to the left, or launch the App Store from your Apple device and search 'Orion Push to Talk' to find it. Tap Log in at the bottom of the screen. Log into the app with the email and password you chose for your Orion account. 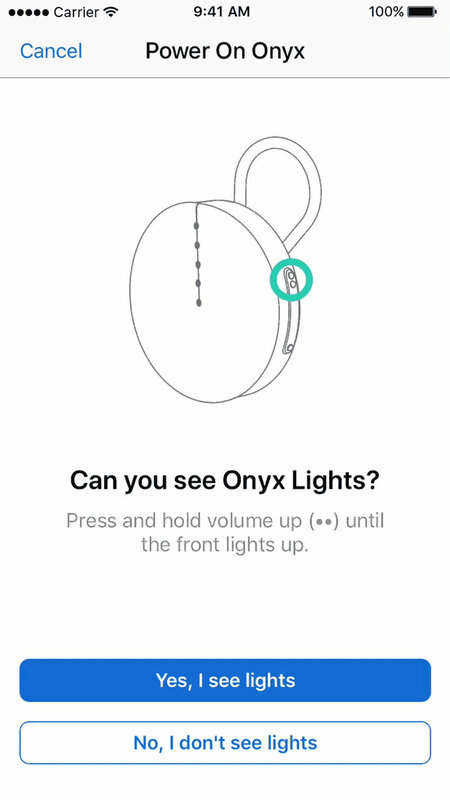 Tap Connect an Onyx and follow the instructions on-screen to power on and connect your Onyx to your mobile phone. You will see two groups, Echo Chamber and Translation Preview, as well as any additional groups an admin has added you to. 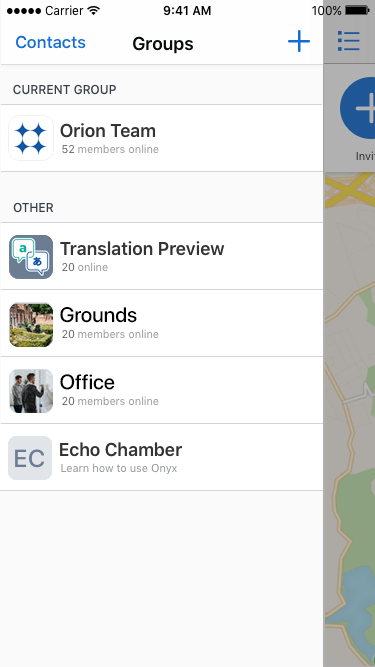 Join Echo Chamber to learn how to talk using Onyx. Join Translation Preview to check out Orion's English/Spanish translation. If you have other groups, you can join one of those and talk to other members of that group with Onyx. ⃝ Yellow - Silent: Can't hear or talk to people. Onyx may vibrate to indicate group activity. 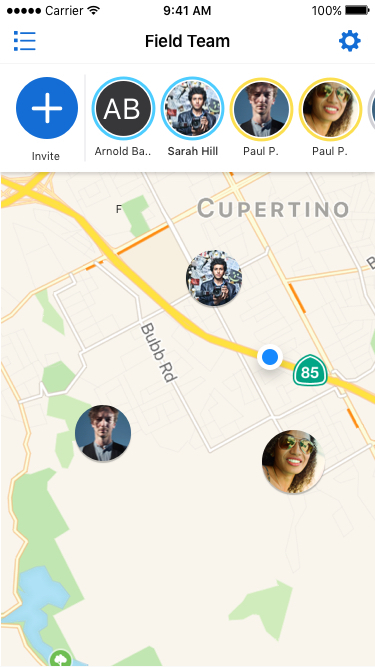 ⃝ Gray - Offline: Receives no cues about group activity. If the group has any Leaders, a ✦ will appear before their name in the member list.